StaySafe : A Model Safety App to Follow? To keep ourselves and our loved ones safe, we look for ways and means. So, if a mobile app is around which can ensure the first level of security - broadcasting our location, we would undoubtedly jump at it and that is what StaySafe, a personal security app is trying to do in countries like UK, US, Canada, Australia and New Zealand. So a country like India where the security of women is at stake every minute and in every zone, we too need an app to work with equal efficiency. The App StaySafe works as a personal GPS tracker app that can play the role of personal safety guardian when you are in an emergency situation and need help. The app works with notifications that reach your emergency contacts both through email and text messages. So if you are unable to reach your destination safely, or if you are caught up in a trying situation in social gathering or traveling all alone, you can let your nearest ones know your exact GPS location so that they can find you quickly and can reach out with a helping hand. The same can be done for your loved ones, if you have children of tender age and they are out with their friends or in a tour. 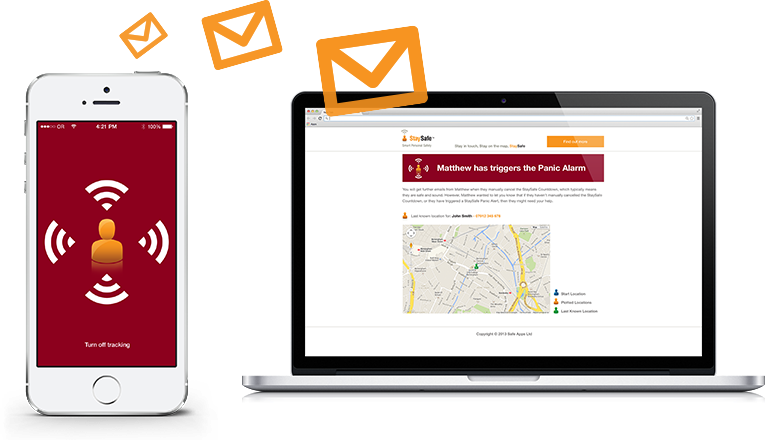 StaySafee would keep you informed about your child location and you can come to their rescue if they needed. The theme of the app is to Stay in touch, Stay on the map and Stay Safe. 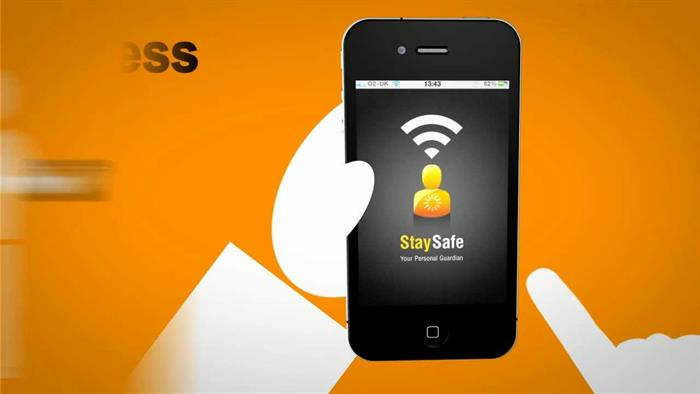 The StaySafe mobile app works mainly with a location based tracking system which has a timer that starts counting down since the time you will say that you might be alone, and from there the location tracking system keeps updating in real-time as and when your location keeps changing, so for instance, when you are traveling alone or hiring into a taxi, it will start tracking down your route. The app will automatically shoot out an SMS text or an email immediately to the emergency contacts you have listed in your phone, which will have all the details of your current location. The emergency contacts will receive both email and SMS text alerts whenever you think it is time. The interface allows you to manage this notification system yourself within the app itself. Whenever an alert is sent your phone will flash an orange light to let you know. 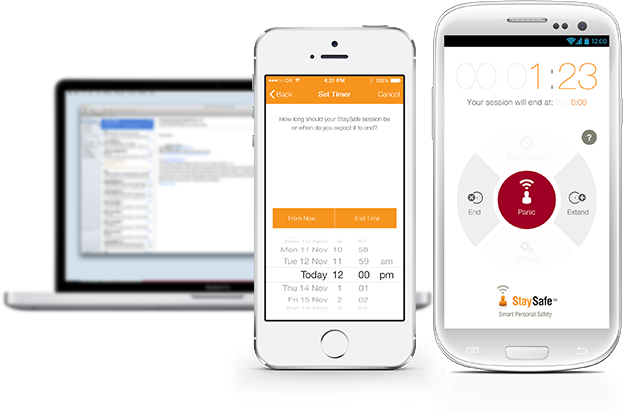 As a personal security app StaySafe has integrated a number of very useful features that make the communication between you and your loved ones easier as well as making the tracking work faster with its latest GPS technology. You can choose these features according to the kind of situation you are in or the one which suits best for you in an untoward circumstance. The first use of the app starts with a prompt to set up a 4-digit PIN following the selection and adding up emergency contacts both from new and those from your phone's address book. Each time while using the app to track your route you need to set up a new tracking session with feeding the app an estimated duration of time that you are likely to be alone. Say, if you are going to hire a taxi, go to the Note and enter the taxi number and the destination you are reaching as well as the place from where you are starting. Once you are ready with it, press the Start button to begin the tracking. To stop a tracked session you you have to re-enter your 4-digit PIN once again, to ensure that it is you, who is stopping the tracking work and not the offender. Otherwise, when the time is close, the app will flash a reminder through an onscreen message that the session is going to expire within 5 minutes. This makes you choose to start the session again, if you are late or you need to extend your time. If you are unable to reach your destination within the stipulated time, and end the tracking session with your 4 digit PIN, then the app will start sending a text or email to your emergency contacts, which would let them know your GPS location. Alerts will be also reach them even if your phone is switched off, gets damaged or the battery dies. StaySafe Personal will notify your emergency contact numbers including your family members if you run out of time when you were supposed to reach your destination. If you are an Android phone user, your location will be automatically sent through an email alert and a SMS, so that the contacts would get to know by checking either of them. The app ensures the same work procedure, even if the battery drains out, gets damaged or been switched off. And that we all require for sure. StaySafe has integrated a set of features which is listed below to know the app better. 1. Every user can add up to three emergency contacts, one SMS and two e-mails. It will send the alerts to these three key contacts, whenever the timer gets over without a confirmed end of session with the 4 digit pin. 2. The SMS and email alert are sent to the emergency contacts with the last identified location of yours. And it will continue to do so even if your battery goes dead. 3. The Panic button helps you to to send instant alerts to your emergency contacts with a single tap of a button. 4. Safe PIN makes sure it is only you who can stop the tracking and not anyone else. 5. Duress PIN comes handy when there is an attack. At that point entering the duress PIN will show to have ended your session but will instantly trigger an emergency duress alert to your contacts. 6. Session Expiry is an optional feature with an audible reminder to tick off false alarms. 7. Keeping the whole family safe is the ultimate motto of StaySafe and the app works with integrity when every family member gets it on their phone. The app is a very useful when it comes to tracking the location through the GPS tracking system. The tracking session is a wonderful idea as the user need not touch the phone during the session and the automatic SMS and email alert keeps the offenders unaware of the app. The 4 digit pin feature is definitely another way of ensuring the user's identity. The fact that the app works offline, even when the battery drains out or the phone gets damaged or been switched off have made the app complete and safe in its true sense. The App might catch the attention of the attacker because of its audible reminders. The 4 digit pin won't come handy, when there is an emergency, it should have been something more simpler and quicker. The number of contacts allowed is too less. At times only three may not work. The app remains incomplete without a backup support of a police squad. Mere known contacts can never fight out the hooligans who are in general armed with physical strength and weapons. 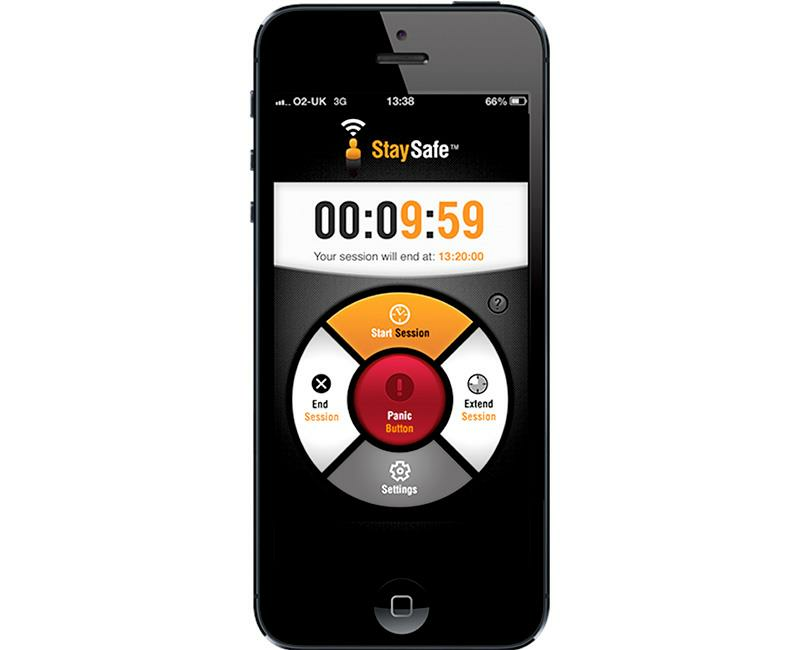 To sum up a personal safety app like StaySafe is indeed a useful investment when the issue of personal security is at stake. Whether it is ourselves, our family or friends, an app to keep us safe will always be on the demand, but a strong support of police help or other helping squads would have made the picture perfect.